Cilantro aka coriander is a versatile herb from the same family as parsley. It can be found in most regions of the world. The leaves as well as the seeds are traditionally used in cooking and have a distinctive aroma, which is pleasing to the senses. My love for cilantro is well documented in various recipes I’ve tried since I began my fitness challenge for 2016. Cilantro is a staple in Asian and Mexican cooking; commonly found in dishes such as guacamole, salsa, chutney, salads. It is also used as part of a marinade for meat and fish dishes and garnishing in a lot of dishes. It’s low on calories – roughly 23 calories per handful. Use as much as you want to without fear. The leaves and stem are rich in antioxidants. It is rich in minerals such as iron, magnesium, potassium, calcium and manganese. It contains a lot of vitamins essential to better hair growth such as vitamins A & C, beta-carotene, niacin, riboflavin and folic acid. It’s one of the richest sources of vitamin K, an essential vitamin to bone health and formation. 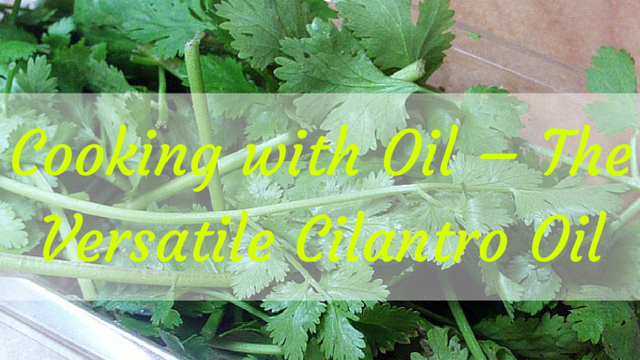 Cilantro oil is made from the leaves of the cilantro by mixing with a suitable oil such as extra virgin olive oil (EVOO), extra virgin coconut oil (EVCO) or canola oil, processing, then extracting the oil. You can also try a different oil if you feel like it and see what the end result tastes like. I love mixing mine with sesame seed oil. You can use cilantro oil in marinades, to turn your butter into a herby delight, as a dressing for salads, as a flavor infuser in rice and pasta, as a topping in avocado toast, and in roasts. A fresh batch should be kept in the fridge no longer than 5 days. Afterwards, discard and make a fresh batch if necessary. You can find a video for making your own herbal oils HERE. The method in the video can be applied to pretty much every herb out there. 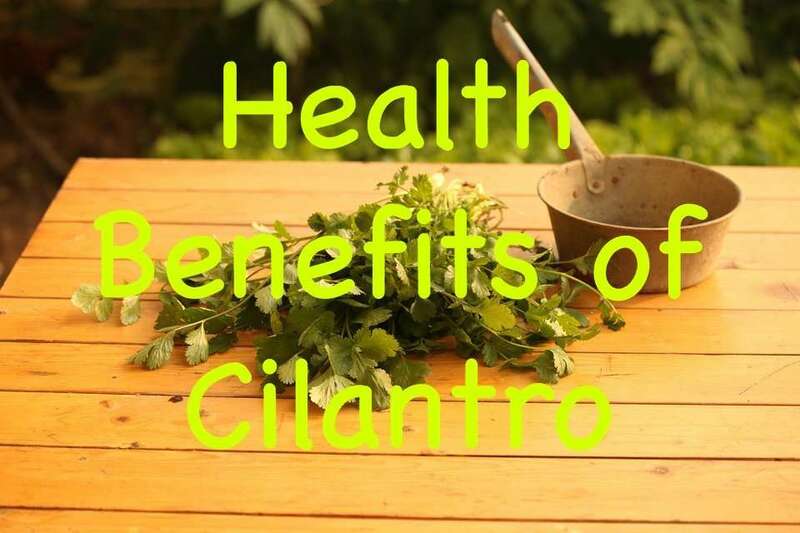 Fresh cilantro can be obtained at low prices from any grocery store.